Less than one year ago, Viking Ocean Cruises� launched its first ship, Vikine Star, and marked the arrival of the travel industry�s first entirely new cruise line in a decade. Today in London the company officially welcomed its second ship, Viking Sea, to its fleet during a celebration on the Thames River in Greenwich. Though Viking�s ocean ships are classified as �small ships� by Cruise Critic, the 930-guest, 47,800-ton Viking Sea is the largest ship ever launched in London. After passing through the Thames Barrier this morning, the ship received a warm welcome by 28 able sea men, who manned the yardarms of the Cutty Sark � the iconic 19th Century British clipper ship � and saluted Viking Sea as she arrived in Greenwich. After arriving today in Greenwich, Viking Sea was positioned in the Thames River with decorated pontoons nearby to welcome guests for various shore excursions around the city. This evening onboard, as part of the ship�s christening � or naming � ceremony, guests were treated to a concert from Norwegian soprano Sissel and The Olav�s Choir. Guests also enjoyed a talk by Stein Olav Henrichsen, the director of Oslo�s Munch Museum � as part of the official launch of Viking�s exclusive new partnership with the museum that is designed to celebrate the life and artwork of Norway�s most famous artist, Edvard Munch, with daily �Munch Moments,� staged for guests each day in the ship�s Atrium. During Viking Sea�s christening ceremony, Karine Hagen, Viking�s senior vice president and daughter of Torstein Hagen, served as ceremonial godmother and offered a blessing of good fortune and safe sailing for Viking Sea � a naval tradition that dates back thousands of years. Widely recognized as the face of the brand in Viking�s television ads and online cultural enrichment videos (www.exploringmore.com), Karine is responsible for infusing the company�s itineraries with extraordinary experiences. She is also the author of the children�s books, �The World of Finse� (www.finse.me), an educational series that showcases the adventures of Karine�s yellow Labrador, Finse. The series is set largely along the global destinations and routes of Viking�s cruises, and the books are sold onboard Viking�s ships. As a response to guest requests, Finse also took part in today�s christening events. Several elements of the christening ceremony paid homage to the company�s Norwegian heritage. Instead of champagne for the traditional bottle-breaking, Viking Sea was christened with a bottle of Gammel Opland aquavit, which hails from the same town in Norway where Torstein�s mother and Karine�s grandmother, Ragnhild � also lovingly known as �Mamsen� � was born. �Mamsen�s,� the Norwegian deli onboard Viking Sea, was also named after Ragnhild, and Gammel Opland was her favorite brand of aquavit. Additionally, in honor of the original Vikings who once explored the British Isles, a Viking battle axe was used to cut the cord for the aquavit christening. The particular broad axe used is a replica of an 11th-century Viking axe discovered in the 1920s when it was dredged from the bottom of the Thames River near the London Bridge. Following the christening and a fireworks show held in the middle of the Thames River, Viking Sea will set sail tomorrow for Bergen, and from there she will continue on to Oslo, Copenhagen, Berlin, St. Petersburg, Tallinn, Helsinki and Stockholm on the popular 15-day Viking Homelands itinerary. Viking Sea�s christening was the culmination of a maiden voyage that began April 3 when the ship set sail in the Mediterranean. Over the last month, she made stops in what will be regular ports, including Athens, Santorini, Kotor, Dubrovnik, Venice, Rome and Barcelona. Viking Sea will spend the summer sailing itineraries in Scandinavia and the Baltic; she will call on Greenwich again in June as part of Viking�s new Into the Midnight Sun itinerary that sails between London and Bergen and explores the northernmost reaches of Scandinavia and sails across the Arctic Circle. � All Veranda Staterooms: Guests can choose from five stateroom categories, starting from a 270 sq. ft. Veranda Stateroom, all with private verandas and premium amenities that include king-size beds with luxury linens, large showers, luxury toiletries, heated bathroom floors and large interactive flat-screen LCD TVs with movies-on-demand. � Explorer Suites: The ships feature 14 Explorer Suites, which are two-room suites ranging from 757 to 1,163 sq. ft. that offer sweeping views from wraparound private verandas as well as the most amenities and privileges of any category onboard. � Two Pool Choices: In addition to the Main Pool with a retractable roof permitting any-season swimming, the ships feature a first-of-its-kind glass-backed Infinity Pool cantilevered off the stern, allowing guests to swim surrounded by their destination. � Explorers� Lounge and Mamsen�s: Share a cocktail with friends. Linger over a Norwegian breakfast and a nautical history book. The Explorers� Lounge and Mamsen�s gourmet deli are thoughtful spaces located at the bow and designed in the Scandinavian spirit, for complete relaxation and for marveling at sweeping views through double-height windows. � The Wintergarden: Guests looking for serenity will find it in the Wintergarden. In this elegant space under a canopy of Scandinavian trellised wood, guests can indulge in afternoon tea service. � Dining Choices: Viking�s ships offer multiple restaurant locations and food choices�from fine dining in The Restaurant, which serves three full meals and the widest choice of culinary options, and the World Caf�, which serves international fare and regional specialties�to intimate dining experiences at The Chef�s Table, which offers a multi-course tasting menu complete with wine parings, and Manfredi�s, which features freshly prepared pastas and Italian favorites. Additionally, The Kitchen Table focuses on regional dishes from market to table; the Pool Grill specializes in gourmet burgers; afternoon tea and scones are available in the Wintergarden; and Mamsen�s serves Norwegian deli-style fare. Furthermore, with multiple choices for outdoor seating during meals, Viking Star offers the most al fresco dining at sea. � Enriching Entertainment: Connecting guests to their destinations through authentic experiences is central to Viking in creating �the thinking person�s cruise.� Instead of casinos and water slides, guests are offered Viking�s Culture Curriculum� including: world-class lectures on history and art; tasting of vintage wines from their destinations; restaurant menus inspired by local cuisine; informative port talks; enriching Destination Performances featuring folkloric shows and musicians playing regional and classical music; an onboard cooking school allowing guests to learn how to prepare local specialties. � Sustainable Features: Designed with the environment in mind, Viking�s ships feature energy-efficient hybrid engines, hydro-dynamically optimized streamlined hull and bow for maximum fuel efficiency and equipment that minimizes exhaust pollution and meets the strictest environmental regulations. Designed for discerning travelers, Viking offers guests �the thinking person�s cruise� as an alternative to mainstream cruises. The Viking Difference is providing guests with extraordinarily well-designed cruises that bring them closer to the cultures of the world. Ships are small to get guests closer to their destination, with more time in port, more overnights and fewer days at sea. Onboard, guests find serene Scandinavian spaces, where every room is beautiful and functional, quiet and filled with light. All-veranda ships mean that guests experience every day with a new, expansive vista. With the most al fresco dining at sea, featuring regional cuisines and always-available American classics, Viking�s guests can truly dine in their destination. A focus on cultural enrichment brings immersive experiences onshore and onboard. And only The Viking Way brings guests itineraries that feature Local Life, Working World and Privileged Access experiences. In addition, Viking Inclusive Cruising provides a small ship experience at a big ship value�with every cruise fare including a veranda stateroom, shore excursions in each port of call, all onboard meals, and all port charges and government taxes. Guests also enjoy many complimentary amenities as part of their fare, including: beer and wine with lunch and dinner service; premium dining reservations; Wi-Fi; self-service laundry; access to the Thermal Suite in the LivNordic Spa; and 24-hour room service�a value of more than $2,400 per couple for an average cruise. Viking Cruises offers destination-centric river and ocean cruising designed for experienced travelers with an interest in geography, culture and history. Featuring onboard cultural enrichment and included shore excursions, Viking�s journeys are competitively priced for genuine value. As the world�s leading river cruise line, since its 1997 inception the company has grown to a fleet of 59 river vessels (in 2016) offering scenic cruising along the rivers of Europe, Russia, Egypt, China and Southeast Asia. Named Cruise Critic�s �Best New Ocean Ship� of 2015, the sophisticated state-of-the-art Viking Star hosts 930 guests on itineraries in Scandinavia and the Baltic; the Western and Eastern Mediterranean; and the Caribbean and North America. The company�s second ocean ship, Viking Sea, launched in April 2016; Viking Sky and Viking Sun are currently under for delivery in early 2017 and late 2017, respectively; two additional sister ships are on order. In 2015 Viking was rated the highest of all cruise lines in Travel + Leisure�s �World�s Best� Awards after appearing on � and topping � the river cruise rankings multiple times. Viking has also been honored multiple times Cond� Nast Traveler�s �Gold List� as well as recognized by the editors of Cruise Critic as �Best River Cruise Line� and �Best River Itineraries,� with the entire Viking Longships� fleet being named �Best New River Ships� in the website�s Editors� Picks Awards. The travel trade has ranked Viking as the �Best River Cruise Line� by Travel Weekly, Recommend and Travel Agent magazines, �Best Cruise Line for Luxury River Cruises� at the Luxury Travel Advisor Awards of Excellence and as �Best Overall Cruise Line for River Cruising,� �Best New River Cruise Ship� and for the seventh consecutive year, �Best River Cruise Line for Travel Agent Support� in the 2015 TravelAge West�s WAVE Awards. 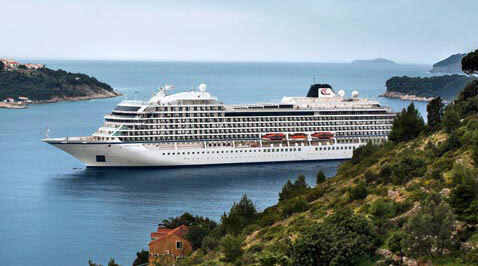 For additional information, contact Viking Cruises at 1-855-8-VIKING (1-855-884-5464) or visit www.vikingcruises.com. To join the Viking Cruises community online, visit www.facebook.com/vikingcruises, www.facebook.com/vikingoceancruises and www.facebook.com/vikingrivercruises, (www.vikingoceancruises.com) . Four Seasons Hotel Prague invites guests to fall in love with Prague all over again and experience the city like never before this spring and summer season. The Seasonal Boat Getaway package presents a new experience not only for couples but for families& too � a Four Seasons boat excursion. The Seasonal Boat Getaway package includes luxurious accommodations and a 50-minute boat ride with a glass of prosecco and continental breakfast with rates starting at EUR 380 per night. �A Four Seasons boat excursion is yet another option that guarantees a unique guest experience, with our traditional charming wooden boat for up to 12 persons with all the comfort, service and amenities of Four Seasons. Guests will be able to see the city from a whole new angle and take breathtaking photos throughout the boat ride. Our Four Seasons boat has been extremely popular with our guests and we are happy to continue to offer this unique excursion, � says Chef Concierge Petr Zezula. 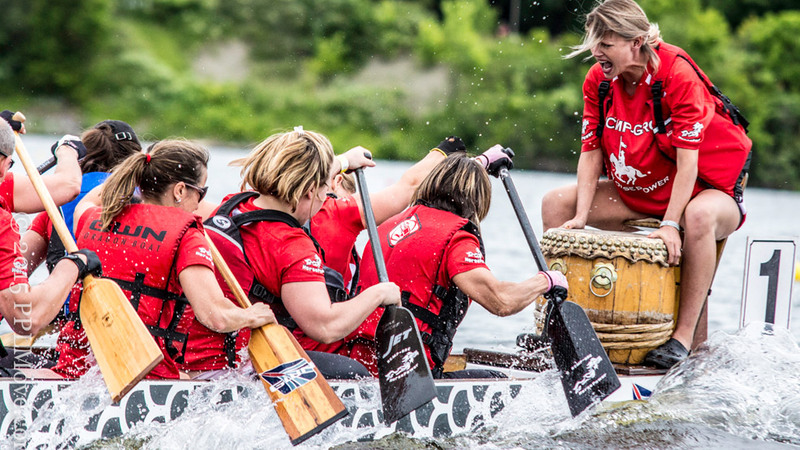 This is action packed weekend for the whole family features non-stop boat racing, free concerts with great performers, a children�s activity area and great food, drinks and vendors. As a testament to its unique vacation experience, Villa del Palmar at the Islands of Loreto was nominated for the second year in a row by the 23rd annual World Travel Awards, known as the Oscars of the travel industry. Known for its breathtaking views of the Sea of Cortez and boundless opportunities to quench guests� wanderlust, Villa del Palmar at the Islands of Loreto has been nominated again this year in the Mexico�s Leading Beach Resort category, a top honor that it took home last year after competing against CUIXMALA, Rosewood Mayakob� in Riviera Maya, The Resort at Pedregal and The St. Regis Punta Mita Resort. Slated to celebrate its fifth anniversary this year, the resort has grown from a hidden gem hideaway to a leading resort in its industry � offering opportunities for luxurious relaxation, authentic adventure, personalized Mexican hospitality, and breathtaking views. The newest additions to the resort range from a 7,400-yard Rees Jones-designed Danzante Bay Golf Course, to LED paddle boards for nighttime stand up paddle board sessions in the calm waters of the Sea of Cortez, offering guests even more reasons to fall in love with Loreto. A comprehensive program, the World Travel Awards serves to recognize, reward and celebrate excellence across all sectors of the global travel and tourism industry. Awards are presented across three tiers � country, regional and world awards � and are voted on by the public, as well as qualified executives in the tourism industry. Villa del Palmar at the Islands of Loreto has been nominated at both the regional and country level. Last year, a record more than 610,000 travel industry experts and high-end tourism consumers cast their votes. To learn more about Villa del Palmar, please contact the resort at reservaciones.vdpl(at)vgloreto(dot)com, call 800.790.4187 or visit www.villadelpalmarloreto.com. (Innsbruck, Austria � April 20, 2016) � Tirol�and its capital city of Innsbruck�welcomes summer and celebrates the region�s passion for music, food and drink, culture, and more through some of Europe�s finest festivals. Locals and visitors alike will descend on the Heart of the Alps in Austria to experience a taste of culture that is uniquely Tirolian with an international flare. Heart of the Alps holds a deep, rich history with the arts and visitors can experience a taste of the Tirolian music scene through the sounds of blues and jazz at the New Orleans Festival in Innsbruck from July 21 � 24 or see a performance of the beloved production of �The Sound of Music� at Kufstein Operetta Summer, and much more, all while taking in the beauty of the surrounding Austrian Alps. With both classical and new age artistic performances, Innsbruck and Tirol bridge the historical and modern ties of Austrian culture for a lineup of top festivals and performances this summer. Staged every six years, over 250 Thiersee locals come together to present the beloved tradition of the Passion Plays. The local production has been a part of Thiersian�s culture and traditions for over 200 years. In 1799, the Thiersians promised that in Lent they would re-enact the suffering and death of Christ to avoid impending war. This decisive event in history gave victory to hope, love, light, and life creating a powerful production to live on for generations. The Innsbruck Dance Summer Festival �now in its 22nd year� offers diverse programs and will once again spark excitement with fascinating world class performances showcasing many forms of dance such as ballet, modern, and contemporary. With performers coming from around the world, festival goers will be treated to Djuki Mala, bringing Australian Aboriginal traditions to Tirol�s capital. In addition to watching the different styles of dance, visitors can be a part of the action and learn the dance steps themselves through galas, Jazz Dance workshops, and intercultural projects held at St. Johann, Axams, Landeck, and Lienz. Taking place each summer, the Tirol Festival of Erl has turned a charming Tirolean resort into a major venue for lovers of Wagner music. Visitors will have endless amounts of music to enjoy in Erl with the 2016 summer program including nine operas, six concerts featuring three orchestras, and eight chamber music events. The program also showcases the productions of Rossini�s opera �Guglielmo Tell� and Mozart�s �The Magic Flute;� the latter will be a special family performance. Party high above Tirol�s capitol of Innsbruck as the electronic music festival at Nordkette features performances from an internationally renowned electronic music lineup. Visitors will take the gondola up the mountain to enjoy the venue�s uninterrupted panoramic views of Innsbruck set against the stunning mountain landscape. Each year, the sound of blues and jazz return to Innsbruck as the New Orleans Festival pays homage to The Big Easy with Southern vibes and music. New Orleans and Innsbruck have been sister cities for more than 20 years and this festival brings together internationally recognized artists of the rootsy New Orleans landscape, jazz lovers, and bands, combos, and jazz vocal groups from across Austria. For the 18th time, the summer breeze will be blowing through the crowd at Innsbruck for four days of carefree dancing and music loving bliss. The Kufstein Operetta Summer Festival � celebrating its 10th anniversary � will bring the production of �The Sound of Music� to life at the extraordinary and historic Kufstein Fortress venue towering high above the charming town. The Innsbruck Festival of Early Music will celebrate its 40th anniversary in 2016. All the musical strings from the Renaissance, Baroque, and Classical periods will come together in celebration of the anniversary. Highlights of this year�s festival include the performances of an opera concert featuring countertenor Ren� Jacobs, who shaped the Innsbruck Festival between 1976 and 2009. A historic version of Mozart�s �The Magic Flute� will also be performed especially for children. The instruments played in 1976 will be showcased in the anniversary program including the baroque violin, the viola da gamba, and the harpsichord. This year, these instruments will be the focus of special concerts given by violinist Hiro Kurosaki and the viol consort Fretwork. 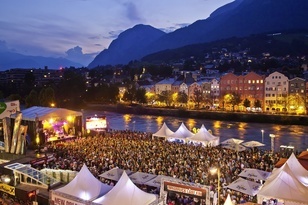 The Promenade Concerts are a quintessential summer tradition in Innsbruck attracting locals and visitors alike for more than 20 years. The regal touch of Austrian royalty comes to life as the Imperial Palace courtyard is filled with the sounds of classical modern music. The selection of music ranges from international military, police and civilian orchestras, as well as brass ensembles, brass bands, and a big band. Visitors can expect to be wowed by beautiful visuals, new featured artists, and an unforgettable atmosphere. The concerts are free for all attendees. For more information on Tirol and Innsbruck please visit: www.tyrol.com and www.innsbruck.info.